Telangana State Residential Educational Institutions Society released TSRJC Common Entrance Test 2018 Results. After successfully registered candidates can be allowed to download the TSRJC 2018 Results. 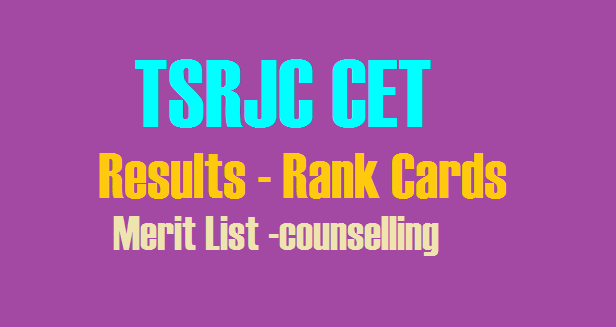 Hall ticket is the mandatory document to appear the TSRJC CET 2018 Exam. Candidates are requested to download the TSRJC Hall ticket as early as possible. The examination authority will not be sent hall ticket by post, it can be download online only. So candidates can download the hall ticket by entering the candidate registration no. and date of birth. 2. Search for results check and download link & Click on it. 3. Enter the Application number, date of birth and other required details. 4. Check whether all details correct. 5. Take the printout & keep it the safe place for future use.